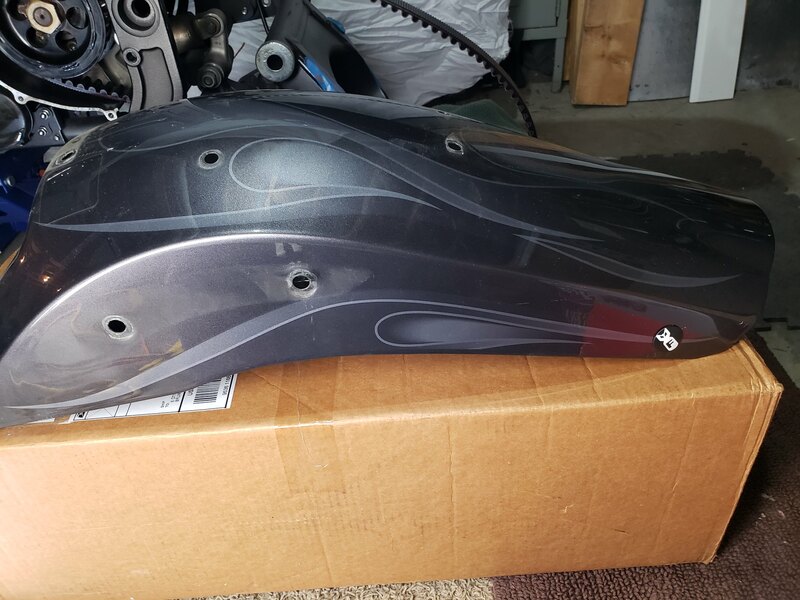 Used rear fender-'04'-Cerulean Silver. Last owner drilled holes in the sides for blinkers. In doing so, he slightly bent the inside tail light bracket a bit, but I was still able to attach the tail light assembly. It does not have the inner fender as I had to use it again. There are a few small scratches here and there and on the end by the taillight. Would be great for someone who wants to chop or weld the holes up and re-paint. Shoot me an offer and shipping is on you. Still available! 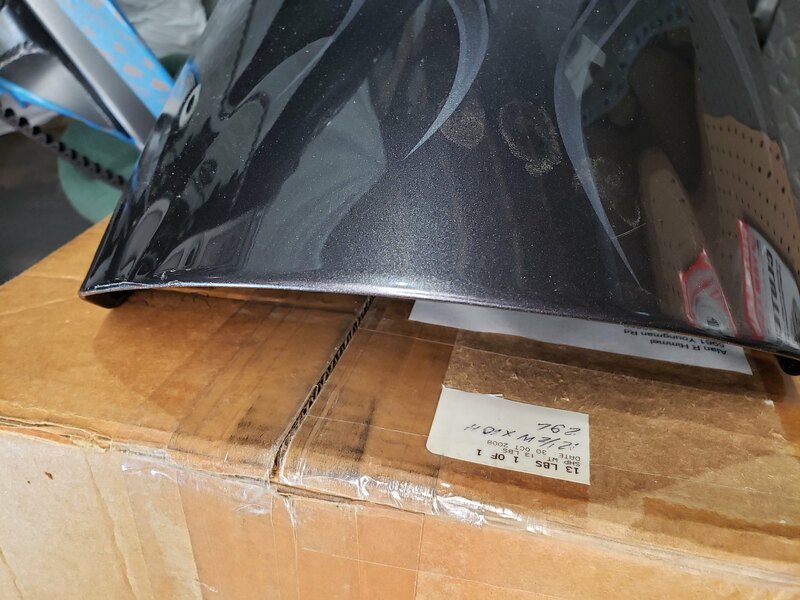 $80 shipped in the cont U.S.
oh where were you a couple weeks ago tapeworm when I paid $120 shipped for one in worse shape than yours! Plus, yours is the color of my bike..ugh.. Should sell quick for that though! Darn! I posted it almost a month ago.